Bricks, Concrete, Stucco, Wood Paneling – What Did You Build YOUR Wall With? I approached a fortress one day. It was strong, sturdy, unmovable, and unbreakable. It was magnificently and meticulously put together – NOTHING could penetrate it or put so much as a chip to it. The architecture was to be admired, but yet upon reaching this mighty dwelling, a great deal of sadness and concern fell on me. Finally, I realized. A person wasn’t behind the wall. The person WAS the wall. After many moments of being hurt, disappointed, betrayed, and devalued by others, the person became hard, stubborn, distrusting, angry, defeated. With every hit to their heart, a brick formed. As time lingered on, more bricks, more cement that would not give easily to the process of erosion. 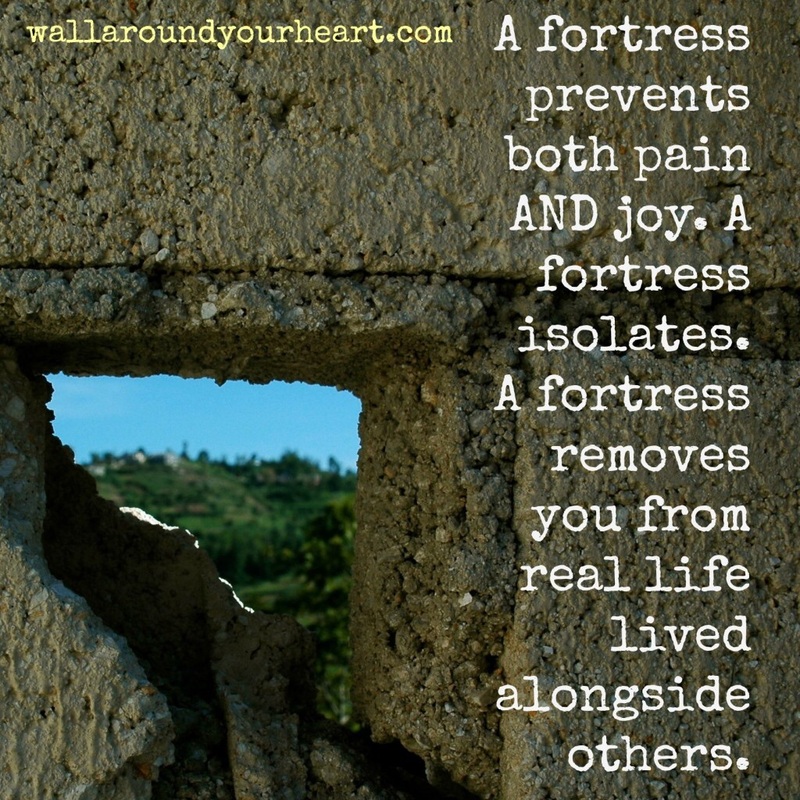 Fear of the same disastrous, heart breaking cycle prevented the wall from being scratched. You may approach, even brace yourself on it, but it wasn’t moving. Whomever the wall trusted was inside and there would be no vacancies. No matter if there was no impending danger to the wall’s well put together structure, no one was coming in. The wall couldn’t risk it. The wall may not have seen previous attacks coming, but it was ready for a fight – even if no war was waged. How to get inside this wall? Brick dust may fly into the wind, but the edges were still rigid. If one was to brush against it, a scraping of the skin was in their future. The wall takes care of itself. It seemingly stands alone. Come and see this massive structure because it is a sight to behold architecturally but it also blocks some majestic scenery behind it. Scenery like a colorful, brilliant, array of talent. Growing, budding, blossoming gifts… Palaces built on faith in action stand tall and command attention, but who can see them to be awed by them? Who can see the beautiful heart hidden in the masonry? The wall is blocking the view. Previous Previous post: Welcome to put a PEN in it!